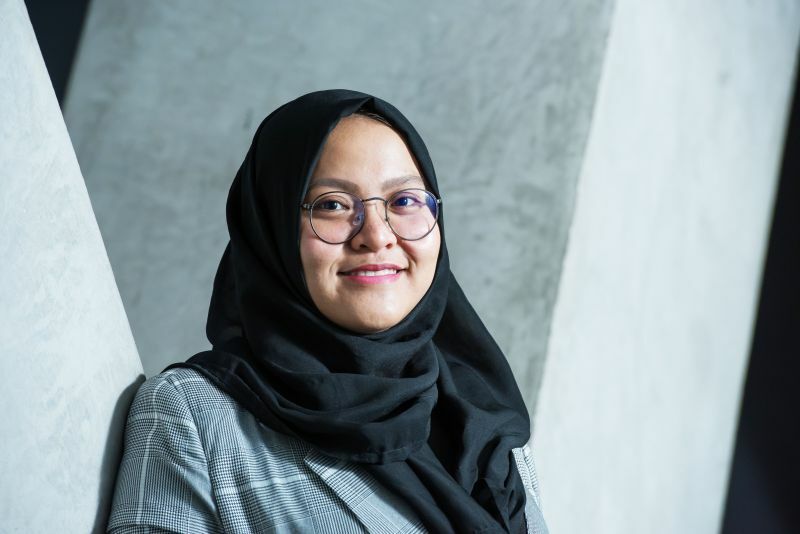 Siti Mahdaria began her Master of Marketing Communications at The University of Melbourne in February with support from the Australia Awards scholarship. She's became a Graduate Student Ambassador for the Faculty of Arts in July, and has been working as a freelancer for various Indonesian media channels. We spoke with Siti about her time in Melbourne so far. Where did you study prior to the University of Melbourne? I got my Bachelor of Economics from Universitas Islam Indonesia in 2016. I ended up working there as Assistant Lecturer and Assistant Researcher in the ASEAN Business Institute in Yogyakarta, Indonesia. Why did you choose to study the Master of Marketing Communications? I study Marketing Communications because it offers the subjects I need to learn in order to work on my vision for community development in Indonesia. I want to develop a marketing incubator for small and medium enterprises in Indonesia, focusing on teaching marketing strategy and providing tools to give them a competitive advantage in the market. I have a strong interest in cross-cultural understanding. Prior to coming to Melbourne, I was a volunteer for International Internship while leading a community called International Buddy for about three years to assist international students who came to my university and help them to adapt with life in Indonesia. During this time, I also travelled to Bulgaria to do global community service in 2014 for two months. What has been the most enjoyable aspect of the course so far? The interactive classes and real case studies that we discuss are my favourite. They have given me insight into what’s happening globally. For example, from my social enterprise class I learned how other social businesses around the world create change for the society. What is something interesting you have discovered about marketing communications? Marketing strategy has shifted and changed from the conventional way to digital, and how it uses advanced technology with catchy and friendly tones to attract potential customers. Tell us about some extra-curricular activities and opportunities you have undertaken. In my first semester I joined the Filmmakers Collaborative, a film-making club of the University, because I love videography and creating videos. I’m also a Graduate Ambassador for the Faculty of Arts which means I talk to prospective students about studying here and also share my student experience, like this video I made about Australian slang. During the winter break, I escaped Melbourne and undertook a fully funded summer school in Turkey in July and August which helped me make friends from all over the world and discover so much about myself. After working with marketing or advertising agencies and establishing my own social enterprise which focuses on providing marketing strategies for SMEs, I would like to become an academic and help others. Are you currently working? How do your studies complement your work? I work as a journalist in Ozip Magazine, an Australian magazine in Bahasa Indonesia that is used by scholars who learn Bahasa Indonesia in their school. Also, I work as a freelancer reporter for an Indonesian national television channel called Net TV. My studies have helped me create content that is compelling to the different audiences that consume it. If you would like to be considered for a scholarship from The University of Melbourne, you must apply for one of our Masters by Coursework programs before 31 October 2018. Every applicant is considered for available scholarships, but you must fully submit your application before October 31 2018 to be eligible to receive one for February 2019.